Despite its Lone Star tagline and reputation for tumbleweed-strewn flats, Texas is far from desolate. The state attracts hundreds of thousands of visitors and residents each year. People love its vast and breath-taking beauty that extends over giant rock formations, into canyons, along the seashore, and into the wilderness back country. And they have the weather to enjoy it all in Texas! However, even though the spaciousness of the state appeals to many, the cities are where Texas is seeing explosive growth in recent years. This is due mainly to business. The main reasons people are boot-scooting to Texas is because of the jobs and affordable living in the metro areas. 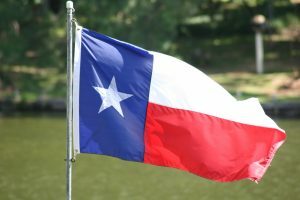 Texas has no state income tax, and unemployment and the cost of living are both lower than average. The state is a huge draw to corporations, especially in the Houston and Dallas-Fort Worth areas. After New York City, Houston is home to more Fortune 500 companies than any other place in the nation, and Dallas-Fort Worth is home to over 20 as well. As a hub of multiple mega-industries, including Energy, Aerospace, and Healthcare, Houston offers incredible jobs and amazing diversity, and the Dallas-Fort Worth metroplex, also know as DFW, is a long-established bastion of Business and Culture. With four Bargain Storage locations in the metro areas of Dallas-Fort Worth, we are seeing just how popular these cities are becoming! Many of our customers are relocating to these areas for work, but we also have a large number of snowbirds who visit as well. Our boat and RV storage offerings are particularly beneficial to our Texas customers, as are the air-cooled storage units. 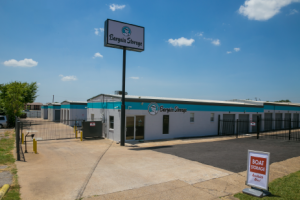 Visit our websites for more information about what each of our storage facilities offer: DeSoto Bargain Storage, Fort Worth Bargain Storage, Glenn Heights Bargain Storage and Oak Cliff Bargain Storage. In addition to being home to the headquarters of more than 20 Fortune 500 companies, Dallas is also where five of the Global Fortune 500 have their headquarters. Giant corporations in the areas of Telecom, Technology, Aerospace, and Energy operating from Dallas give the economy a solid and reliable foundation. Dallas is also internationally recognized as one of the richest cities in the world. The economy of DFW is a huge asset to its residents, and it has a positive effect on the global economy too. 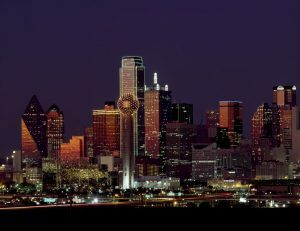 Dallas-Fort Worth is the fourth largest metropolitan area in the United States. In an area that large, one can’t help but find places to explore and things to do. Events, nightlife, shopping, outdoor activities—they have it all. The architecture alone in Dallas is something to see. The city skyline is legendary and the downtown arts area boasts multiple buildings designed by award-winning architects, such as the Nasher Sculpture Center, the Wyly Theater, the Meyerson Symphony Center, and the Winspear Opera House. You will find amazing food all over the state of Texas. The Southern Cooking and Tex-Mex cuisine are phenomenal. But Dallas beats everywhere else in one thing in particular: Texas BBQ. There is never a shortage of restaurants in the area ready to serve delicious meats with all kinds of smoky flavors. It’s a place where pitmasters are held in high esteem and followed on social media. Here are a few who make regular appearances on “Best Texas BBQ” lists: Ten50 BBQ, The Slow Bone, and Pecan Lodge. It’s a well-known fact that Texans love their sports. And with the great weather and wide open spaces, Dallas is a wonderful place to play your favorite sport or watch your favorite team. 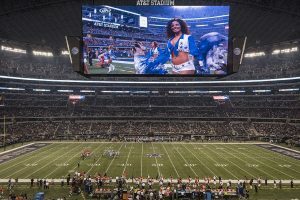 Dallas-Fort Worth is home to 6 major league sports teams. They are the Texas Rangers (MLB), the Dallas Cowboys (NFL), the Dallas Stars (NHL), the Dallas Mavericks (NBA), FC Dallas (MLS), and the Dallas Wings (WNBA). Additionally, fans love their NASCAR, Indy Racing, Rodeos, and over 200 golf courses. And as we all know, football season in Texas is bigger than it is anywhere else on the planet. You might guess that with sports and BBQ being as popular as they are, that parks and big get-togethers would be too. And you’d be right. The area is home to dozens of spacious parks and pristine recreational areas, include the Klyde Warren park, an urban green space covering three blocks over the freeway. And, the Dallas-Fort Worth area is host to incredible music festivals and concert series. Dallas also has a well-organized rail system, the Dallas Area Rapid Transit (DART), that has been around for three decades. It’s the largest light rail operator in the nation with over 90 miles of track. DART is one of the main reasons that Dallas traffic is so much less of a problem than it is elsewhere. For those looking to relocate to these areas of Texas, visit our convenient storage properties near you to talk to our friendly experts about finding the right storage solution. We are proud to offer air-cooled storage to beat the heat in Texas and boat, RV and camper storage for our outdoors folks and snowbirds. We invite you to explore our Texas storage locations online and give us a call with any questions.